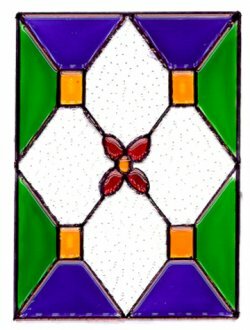 Home :: Dollhouse Building Supplies :: Stained Glass/Plexi :: Stained Glass Panel "C"
Clear plastic. Easy to paint with transparent paints or markers. Picture shown painted. 1 3/4 x 2 3/8"